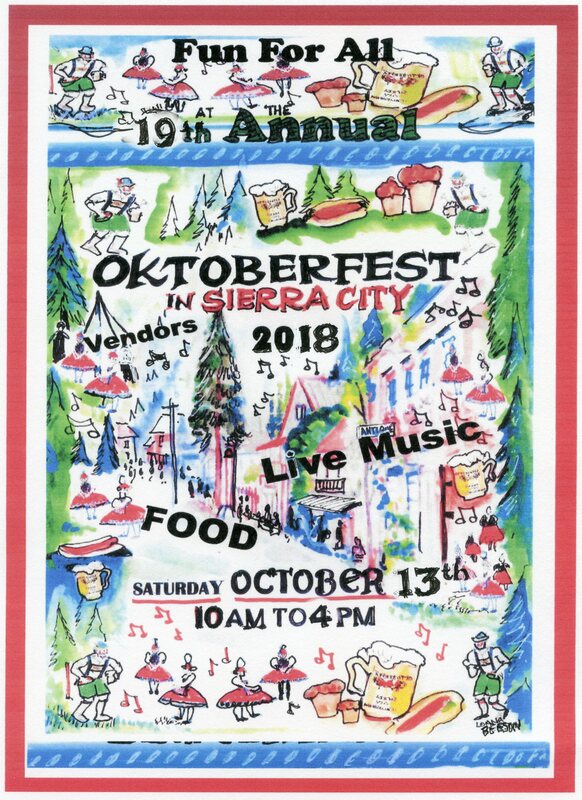 It's time for the annual Oktoberfest in Sierra City! Come to the mountains and enjoy the fall colors and some good old-fashioned fun Saturday October 13th. Vendors offer an wonderful array of temptations up and down Sierra City's historic Main Street from 10:00 am - 4:00 pm. Don't miss the music, magic, crafts, brauts & sauerkraut along with fresh squeezed apple cider.